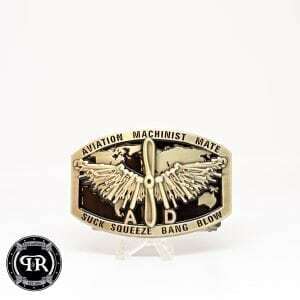 Pitch and Rudder CS Custom Belt Buckle, Without us the Fleet don’t Eat! 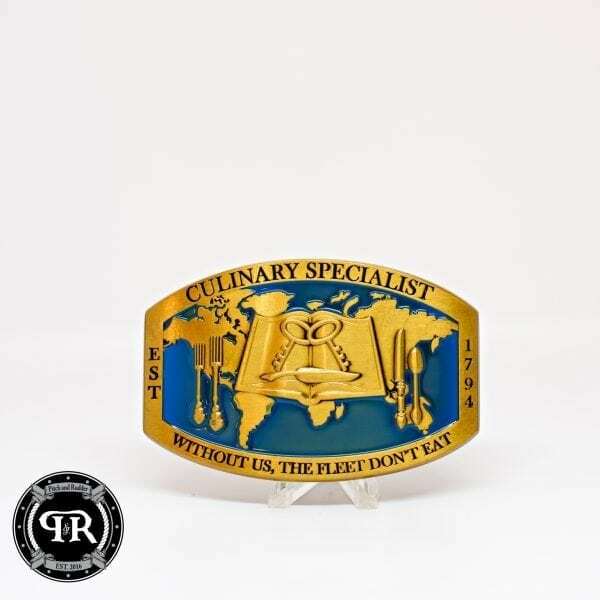 Navy Culinary Specialist Custom Belt Buckle. When we designed your Culinary Specialist belt buckle, we wanted to make sure that did justice to your rate! 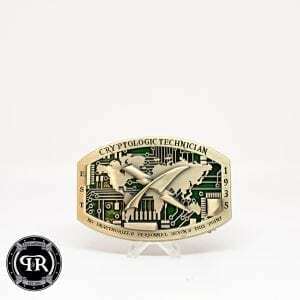 We wanted to highlight the legacy that makes a CS belt buckle unique! Remember, not everyone can say ” Without us, the Fleet don’t Eat” and be truthful! 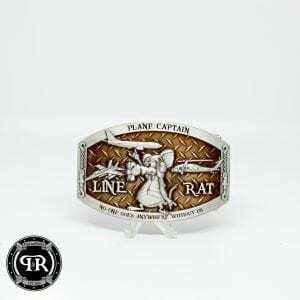 Pitch and Rudder are proud to honor your rates legacy and we fill that this CS belt buckle hits so hard you’ll need to brace for impact! These sailors receive extensive training in cooking, baking, dining and living area management. They prepare menus, order food items, operating kitchen and dining facilities and keep records for food supplies and financial budgets. They serve as personal food service specialists for high ranking officers both aboard ship and at shore bases. Culinary Specialists work in kitchens, dining areas, living quarters and storerooms where food supplies are kept. The work is primarily physical and involves working as part of a team, often in close quarters and sometimes under adverse conditions. These sailors also learn the proper procedures for food handling and preparation, including the correct sanitary conditions, and the correct temperatures for storing various food items. Although previous experience as a chef or cook is beneficial, it’s not required. 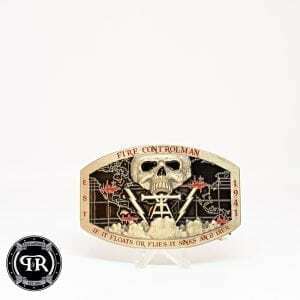 Making CS custom belt buckles is one of our specialties. Our buckles are made using a die-cast zinc process which is much harder and longer lasting than pewter. Our buckles accommodate belts up to a 2.00-inch wide size. If your interested in getting a more Custom buckle for your Division, Command, or Mess we’ve streamlined the process, click the get started link at the bottom of the page and someone from our design team will be with you within 48 hours to bring your vision to life. When you’re working with us, we want to be as transparent as possible if you’re looking for shirts, you’re going to be working with Chuck’s Team, If you’re working with metal you will be working with Terry’s Team.